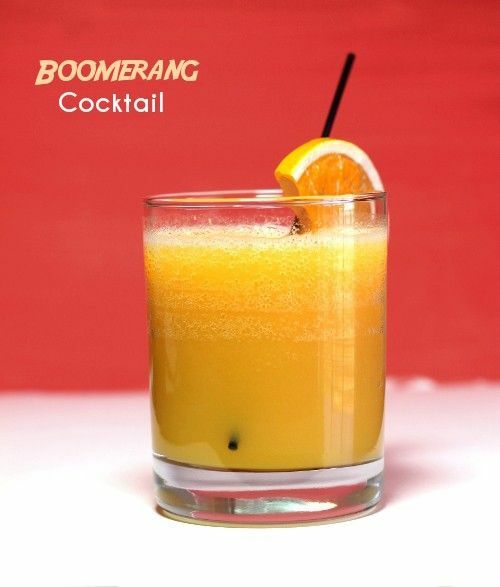 The Boomerang cocktail is definitely one to be sipped and enjoyed. It blends the flavors of citrus and peach with notes of oak, making it as interesting as it is tasty. This is a moderately strong drink that’s great for shaking off the day and kicking back for a relaxing evening at home. The orange juice keeps the whole drink smooth, so you don’t need to use your best liquors. Fill a cocktail shaker with ice. Pour in the ingredients and shake until chilled. Strain into a highball glass and garnish with an orange wheel.